The process of making much-needed changes to legislation in the diamond sector has stalled and this is being blamed for the woes of the local cutting and polishing industry. Four years after the previous Mineral Resources Minister, Susan Shabangu, admitted that the Diamonds Amendment Act “had not yielded sufficient results” and promised it would be reviewed, nothing has happened. A state-owned entity, the State Diamond Trader (SDT) was established in terms of the Act in 2005. Its purpose is to buy up to 10% of run-of-mine diamonds mined in SA each year and sell them to black cutters and polishers to promote local beneficiation and empowerment. The diamond industry regards it as a costly and irrelevant bureaucracy imposed on producers and beneficiators, and the SDT is looking at ways to improve its effectiveness. The regulatory torpor in the diamond sector mirrors the lack of urgency in concluding the Mineral & Petroleum Resources Development Act (MPRDA) amendments, first proposed in 2013. There is a separate office, the SA Diamond & Precious Metals Regulator, which facilitates the buying, selling, importing and exporting of diamonds through the Diamond Exchange & Export Centre. It also aims to increase access to diamonds for local beneficiation and promote the participation of historically disadvantaged South Africans in the industry. The SDT was established and De Beers subsidiary, Diamdel RSA supplied aggregated cuttable rough diamonds to 106 cutting and polishing businesses outside its Sightholder network. It closed in 2007. Ernest Blom, chairman of the Diamond Dealers Club of SA, says the number of cutters and polishers in SA has dropped to about 200-250 today, most of whom are black, from about 4 500 15 years ago. SDT CEO, Futhi Zikalala Mvelase says the numbers need to be interrogated. She is sceptical about the figure of 4 500. She says it was inevitable for SA’s cutting and polishing industry to have evolved over the past 15 years, just as it has in other countries. In Belgium, for example, the number of cutters and polishers has fallen from about 25 000 to 1 000. In SA, there are more one- or two-person businesses than there were before, and the SDT wants to help them to grow into larger entities, she says. The SDT’s most recent annual report shows that of 47 companies to which it sold diamonds in 2015/2016, three were “growth and transformation” companies, 20 were small black-owned entities and 19, which accounted for 76% of sales by value, were larger beneficiating companies. Zikalala Mvelase says those larger companies had an empowerment of 20%-30% but were not wholly black-owned. Last year, the SDT bought 3% of locally produced diamonds, well below the 10% envisaged in the legislation. It made a loss of R3.1-million for the year, more than double the previous year’s. Zikalala Mvelase says there was a severe downturn in the global diamond industry for the first three quarters of the 2015/2016 financial year, which affected the SDT’s customers and its income. Small cutters and polishers in SA, like those in other countries, found it difficult to get funding and offtake was slow. John Bristow of the Global Diamond Network believes the SDT serves no function in its current form, since it is not managing to grow the number of historically disadvantaged cutters and polishers—in fact, the industry has largely been destroyed in the past few years. Another problem is the red tape associated with the functions of the SDT. Bristow says there is a desperate need for a comprehensive review of all legislation relevant to the junior and small diamond sector, including all related facets, such as the SDT. “Unless this happens soon, and a practical enabling policy is implemented, this industry, along with the broader junior mining sector, will end up on the scrapheap,” he says. Blom says there have been no discussions with the local diamond industry about amending the legislation. The model for the SDT is wrong, which is why it has not succeeded in growing the downstream industry, he says. It can only buy run-of-mine production, which includes a proportion of smaller and lower-quality stones that the local industry cannot beneficiate. Zikalala Mvelase says the Department of Mineral Resources is aware that legislative amendments are needed, specifically on the issue of buying run-of-mine production at a fair market value. But the department has to complete the MPRDA amendments first. Blom says abolishing the SDT would not necessarily help the industry, since there are other contributing factors, such as SA’s inability to compete. Asked about merging the SDT with the regulator’s office, Zikalala Mvelase says it is one of the questions that has been raised in the discussions on how to improve mechanisms for growing the downstream industry. The government adopted beneficiation as a strategy to boost economic growth. It entails the transformation of a mineral to a higher value product, which can either be purchased locally or exported. While the government is aiming to establish the local beneficiation industry by 2026, Mineral Resources Deputy Minister, Godfrey Oliphant believes this can be achieved much sooner. In 2015, the cutting and polishing industry suffered a major blow when the last, biggest diamond cutting and polishing company in South Africa—Zlotowski’s Diamond Cutting Works, a subsidiary of Chow Tai Fook of Hong Kong—closed. The subsidiary of one of the world’s largest listed jewellery companies sustained some 170 South African jobs. Last year, speaking at the South African Diamond Indaba in Midrand, Oliphant conceded that there were still a number of factors that kept the country from achieving its beneficiation goals, including a lack of access to raw materials and infrastructure, limited exposure to research and development, inadequate skills and a limited access to international markets. However, he stated that “difficulties in the diamond beneficiation industry are not insurmountable,” and added that mining and beneficiation would form part of the country’s economy for at least another 100 years. In July 2016, a partnership between De Beers, the government and the South African diamond cutting industry was launched, which aims to facilitate the transformation and growth of the diamond cutting and polishing sector in South Africa. The holistic and developmental programme is working with selected black South African-owned diamond cutting businesses. 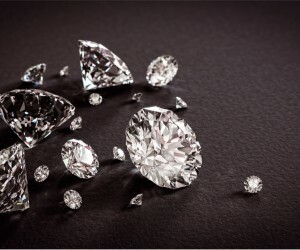 The South African diamond cutting businesses, particularly new entrants to the sector, face competitive challenges when competing locally and internationally and the programme has both a transformation aspect and a growth-of-the-sector objective. It includes interventions to improve the industry and business knowledge and foster opportunities to gain experience in rough diamond purchasing, manufacturing (cutting diamonds) as well as in the marketing and distribution of the finished product into the polished diamond market. However, “for beneficiation to succeed here, there is a need to involve multiple stakeholders who will bring innovative thinking, skills and resources to ensure that South Africa remains a competitive player in the global diamond industry”, he said. “By being engaged in a technical, production and business efficiency mentoring programme with successful South African and international diamond industry leaders, the group will strive to achieve what many aspire to,” she said. De Beers will continue with its other beneficiation projects such as the Shining Light Awards, support of the Kimberley International Diamond and Jewellery Academy in Kimberley, the on-going support of the Diamond Indaba (hosted by the State Diamond Trader) and the Forevermark jewellery programme. The five companies selected for the partnership were Thoko’s Diamonds, African Diamonds, Nungu Diamonds, Kwame Diamonds and Molefi Letsiki Diamond Holdings. Kwame Diamonds is a diamond refining institute that is 100% SA women-owned and -operated. They refine and model diamonds from rough to polished jewels. The company was established in 2008 but only became really active in 2012. “Given the barrier to entry and the challenges faced by black entrepreneurs in this industry, I needed to ensure that I align myself with bigger players who can teach me the ropes in an enabling environment. Hence, the partnership with Uxolo Diamonds, which exposed me to the real diamond industry and, through my leadership, became a Sightholder of De Beers—I was the first black lady to manage a Sightholder factory. Given that opportunity, Kwame Diamonds started becoming active and grew under that enabling environment,” says Mosibudi. “Currently, the state of our industry is really ailing and in need of a serious revival. I think the wheels of change are in motion and I remain optimistic that the tide will change, especially with young black vibrant and ambitious entrepreneurs coming into this space and participating meaningfully and, most of all, making a difference and proving that this is not just a white Jewish folk business,” she elaborates. Mosibudi explains that what is needed for the local beneficiation sector to remain competitive as cheaper countries dominate the diamond market, is for the government to be more aggressive in assisting to create jobs through funding. While we have the skills in the country, it has to be a joint effort to revive this industry that was once the hub of diamond manufacturing. Regulations must be suitable and encouraging, so that investors set up factories here rather than exporting all the raw materials. “We simply cannot compare our industry with India and China, where the cost of living and the working conditions of the people come last. All we need to do is channel government funding in the right direction to enable us to pay our people a decent salary. We cannot promote cheap labor—I simply disagree. Diamonds are not cheap, why should the people that are making these jewels be paid a non-living wage? It’s wrong,” she says. Mosibudi explains that in a way, South Africa has taken its eye off the ball as far as diamond beneficiation is concerned and she feels we should be the hub of Africa, considering it all started here. With good leadership, she believes we can still reclaim our position as the leader in Africa as we have the infrastructure to do so. “If properly supported, it has the potential to create much-needed jobs. For example, look at how India is thriving on our diamonds, we sell them tonnes of carats and they, in turn, create those jobs in their country—we can easily do the same. For a country that is so rich in resources, the beneficiation of any mineral should be at the core of any growing economy, it should be a national agenda if issues of unemployment have to be tackled successfully,” she explains. Regarding the current level of black business in the sector, Mosibudi says that the tide is turning, as there is now a new generation of game changers doing a very good job and she is excited to say we will be the change that we want to see because we have direction and commitment. “We owe it to ourselves to be the meaningful transformation the industry desperately needs and we have embraced that and we will make a difference. Transformation in the sector is occurring very slowly, but that also boils down to leadership and a more aggressive approach from the government to ensure that black people have access to opportunities and all measures are in place to get into this game and thrive in it. I guess De Beers bit the bullet and took a chance on us and we will prove that it can be done and can be sustainable,” she enthuses. The partnership absolutely delivers in terms of creating opportunities and skills development. “We have access to rough diamonds, which is key for an emerging diamond dealer. No diamond, no business—it’s as simple as that. The partnership works perfectly as there is co-operation from other stakeholders, such as Sightholders, that are guiding us and transferring their skills to us,” Mosibudi says. She explains that as a new entrant in the sector, some of the challenges include funding—as the industry is really capital-intensive—market penetration and manufacturing, as the equipment and the technology that go with it to ensure proper manufacturing is extremely expensive. “The partnership has assisted in that it has made us visible not just locally but internationally as well. The brand behind us is opening doors that would normally not have been possible to open as an individual. This partnership made me realise that if you work as a collective with genuine intent, things do happen, and it has given me the courage to keep on moving,” she says. 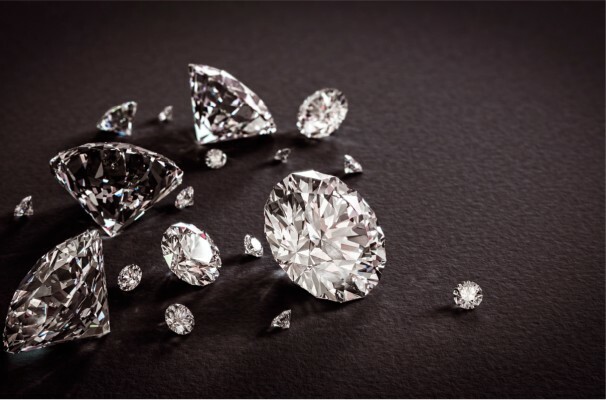 “By focusing on the development of HDSA-owned diamond manufacturing companies, the project aims to accelerate the transformation of the industry. The holistic approach of the project covers all aspects of my businesses, from entrepreneurial development, funding, rough procurement and processing to marketing and distribution. Since starting the development programme, my monthly turnover has increased by over 1 000%.“The diamond beneficiation sector holds a number of prospects. There is the opportunity to show the rest of the world that diamonds do good for the countries in which they are mined—to move the dialogue away from the so-called ‘commodity curse’ with its associated images of exploitation and human rights abuses. There is a potential consumer proposition, which focuses on the social and economic benefits diamonds can bring to nations in Africa in particular—and ‘diamonds cut and polished by Africans in Africa’ can be part of that proposition,” he says. Pule explains that there are four key barriers to growth that affect the diamond beneficiation industry—a lack of consistent access to rough diamonds, a lack of available funding for rough diamond purchases, the inability to secure markets for polished diamonds that are manufactured and insufficient entrepreneurial and business skills to develop sustainable businesses.